The North Carolina PowerBuilder User Group (NCPBUG) and Appeon Corporation announced today that the Charlotte PowerBuilder Conference will be held on May 16-20, 2016 at the Center City Campus of the University of North Carolina in Charlotte, North Carolina. The Charlotte PowerBuilder Conference will bring the latest news and information on all things PowerBuilder while Appeon Corporation will have product experts available to present the latest product road-map and answer questions on the current and future plans for PowerBuilder. This is your opportunity to have your questions answered and see how to modernize and extend your applications first hand. Learn how to quickly modernize and extend your PowerBuilder applications with Web, Mobile, and Cloud technologies from Appeon Corporation. Attend sessions on current GUI design and application development from industry veterans. Workshops on topics such as beginning mobile development, getting the most out of your source control system, and the "how to" of working with application frameworks are in the mix right now. More than fifty hours of PowerBuilder specific content is planned for the Conference. You will not find a better PowerBuilder value for your hard earned dollars anywhere else in North America. Preregistration for this three day event is currently only $295.00 USD (that's 40% off the normal registration price of $495.00). Now is your chance to enrich the PowerBuilder Community by presenting a session at the conference. Showcase your achievements in front of your peers and help us all grow through exposure to new thinking and updated ideas. Session length may be either 60, 90, or 120 minutes. Demo type presentations should be limited to sixty minutes; in depth technical discussions or detailed analysis/examples would be more appropriate for a 90 or 120 minute time slot. Sessions need to be educational and technically focused with intermediate level topics being encouraged. Speakers must be available to present during the entire span of the conference (May 6-8, 2015). We offer complimentary registration to approved speakers. The deadline to submit a session for consideration is January 31, 2016. Notifications of acceptance will be sent out by the end of February at the latest. For more information, please go to www.ncpbug.org and submit your session idea today! 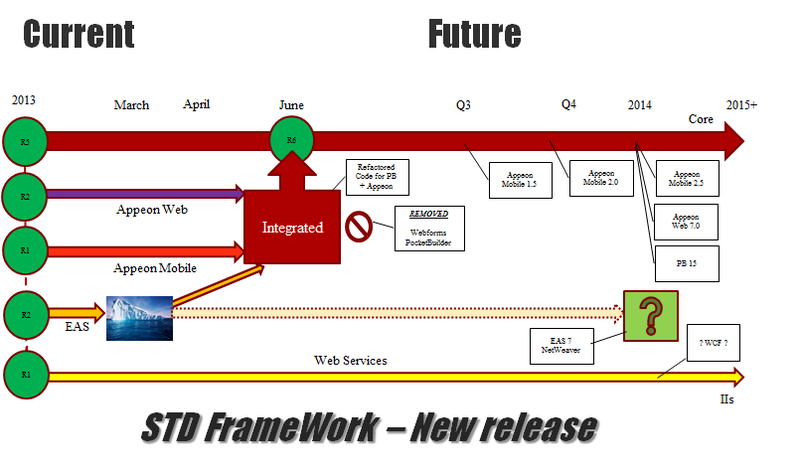 New Release (2015R4-2) of the STD "Integrated" FrameWork! 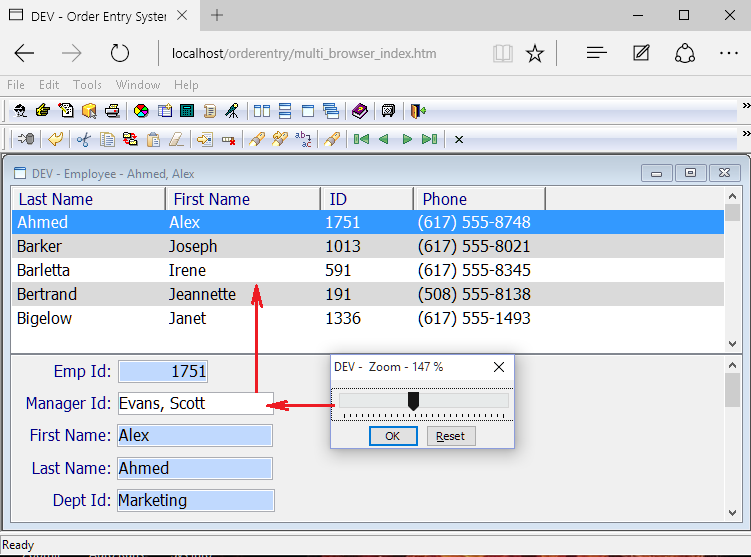 Integrated Foundation Classes (2015R4-2) Released! "THE" PowerBuilder Classic & Appeon Framework! Software Tool & Die Inc (STD) is very pleased to announce that they have just released an updated version 2015R4 (2015.4.2.49) of their Integrated Foundation Class library for PowerBuilder "Classic", Appeon Web and Appeon Mobile! The latest version contains the following updates and has been tested with Appeon Appeon 2015.328.00 (GA) using the official MR (maintenance releases) of PowerBuilder "Classic" versions 12.1, 12.5.1 and 12.6. 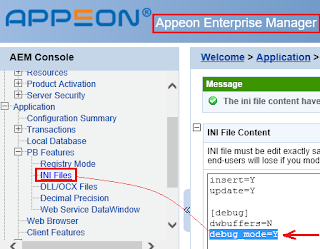 Testing inside of PB included Win32 (both P-code & M-code) deployments while testing inside of Appeon included latest Web Browsers, latest Apple Tablet/Smart Phone and Android Tablet/Smart Phone deployments. Framework was system tested with: PowerBuilder Classic 12.1, 12.5.1 and 12.6; Appeon and 2015R1 (2015.0328.00); iOS 9.1 and Android 6.0 (both Smart Phone & Tablet); IE10/11; FireFox 40.0.3; Safari 5.1.7; Opera 32.0.1948.25; Chrome 45.0.2454.101; and EDGE 20.10240.16384.0 web browsers. Revised "fn_open_sheet_window_withparm" function to log the Window HANDLE being OPENED. Revised "fn_open_window" function to log the Window HANDLE being OPENED. Fixed display formatting issues with Messages #94 & #95. Renamed the "of_create_instance" method to "of_create_ejb" to better define the action being performed. Revised the "vs_dc_master" base class to support Synchronized Zooming". Revised the "wn_master" base class to support Synchronized Zooming". Revised "wn_master" class to log the Window HANDLE being CLOSED. 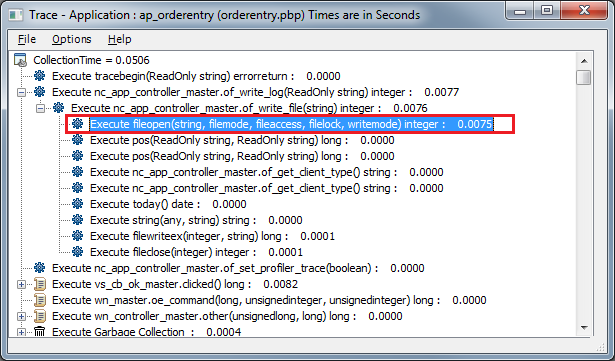 Revised "nc_app_controller_master" class to log the O/S Command Line information being passed into the application. 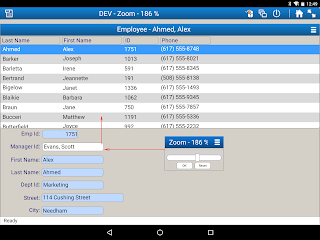 Example of Synchronized Zooming in an Appeon Mobile application! 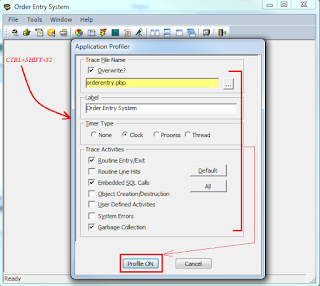 b) The Order Entry example application (OrderEntry). Example of Synchronized Zooming in a native application! 1) Continued performance improvements in the PB, Web and Mobile single source framework. 2) Add more PB, Web and Mobile features (ie: controls, Active Directory, etc). 3) Integrate Open Source tools like Spell Checking, OCR, Imaging, and more! 6) Support for NFC communications and other new features. 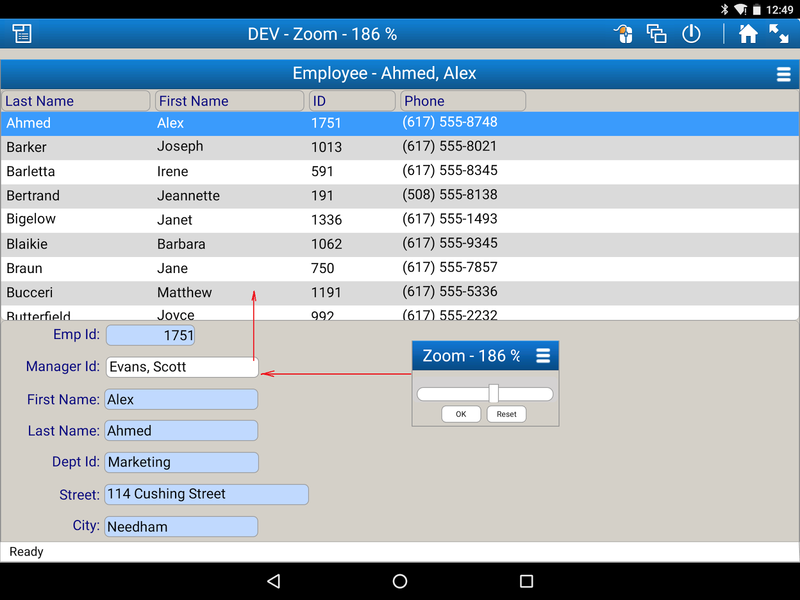 Example of Synchronized Zooming in an Appeon Web application (EDGE Browser)! The FC's are *free* and can be downloaded (along with a sample Order Entry application) from the SourceForge website! PowerBuilder Roadmap Webcasts - Registration Open! For those of you who are not aware what has been transpiring over the past several months, in the middle of May with SAP announcing it had signed a Memorandum Of Understanding (MOU) with Appeon. After signing the MOU, Appeon went hard to work to understand what customers want out of PowerBuilder and what is technically feasible. Appeon then put together a vision, technical architecture, and road-map for PowerBuilder, which was the result of months of hard work. They conducted market surveys to thousands of users, held conference calls with hundreds of customers and even had extensive discussions with their most active partners and members of the PowerBuilder community. Appeon even analyzed real-life customer code, some having more than a gigabyte of PBLs of PowerScript code and created numerous proof-of-concepts in Appeon’s labs. During the webcasts, Appeon will be communicating their vision, technology, and road-map in a 5-part Webcast series as there is just too much content to communicate and digest in just a one single Webcast. At the end of each Webcast Appeon also wants to give PowerBuilder customers the opportunity to give them feedback, which they will use to fine-tune the detailed technical architecture and road-map. Setting the future of PowerBuilder is a big decision that can affect tens of thousands of companies and you specifically. This is why Appeon are trying to give as many customers as possible a chance to be heard. I strongly urge you to participate in this Webcast series. 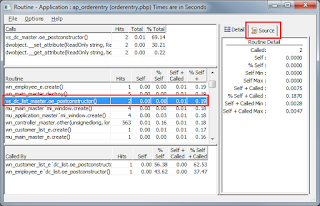 STD Foundation Classes - Application Performance Profiling! 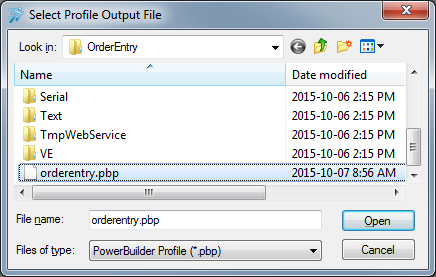 With the release of the new STD Integrated Framework for PowerBuilder and Appeon (version 2015.4.0.43 and higher), the framework was enhanced to deliver a new feature - Dynamic Application Profiling. 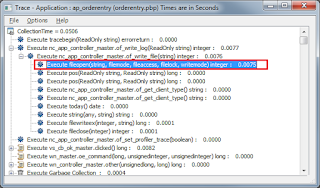 The the Application Profiling feature has been available to native PB applications for many, many releases - but, only when running the application from the PB IDE or when a developer remembered to code the TraceXxxx () commands in their application. 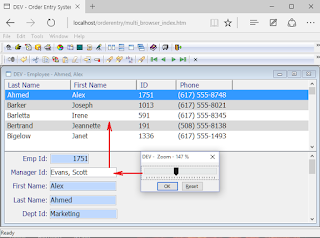 The framework's Dynamic Profiling feature though can be activated by the application user, developer, QA or Support specialist at anytime by selecting the keyboard CTRL+SHIFT+F2 keys in succession. The feature is also self contained and ready to use at a moments notice with no programming required by the developer what so ever! 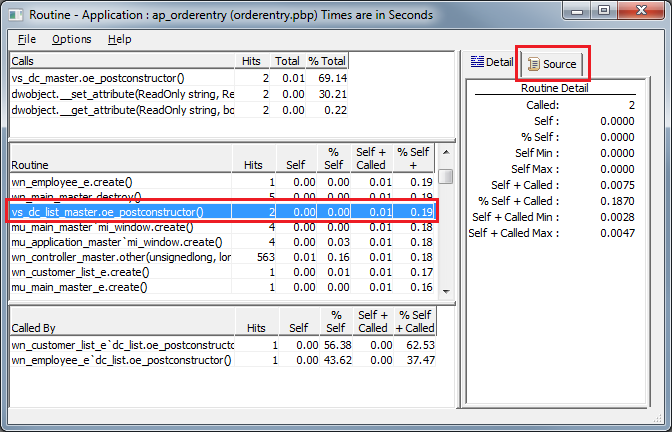 Example of starting Application Profiling from the DEBUG/SPY dialogue! 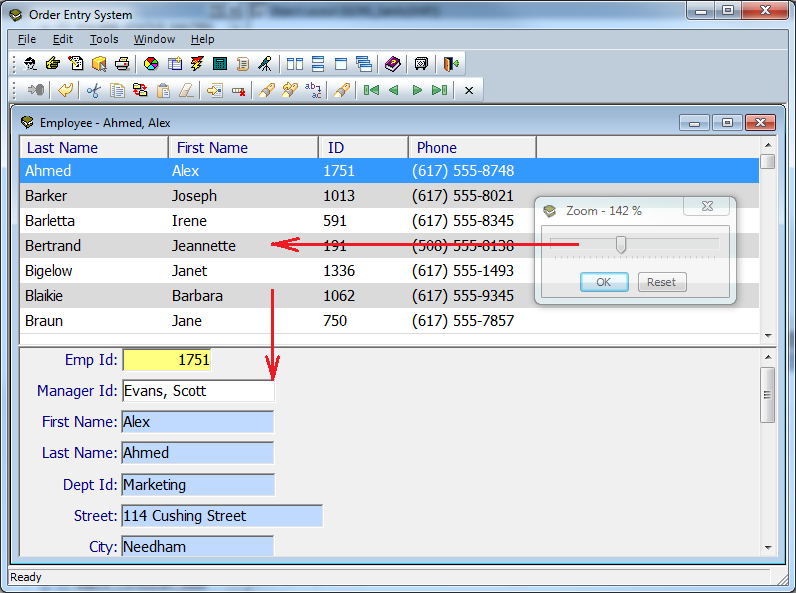 Example of the Integrated Framework's built-in Profiling dialogue in action! 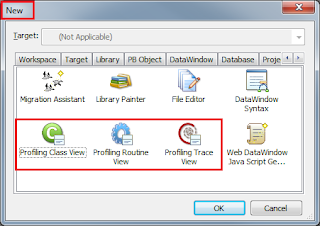 Once the Application Profiling has been requested, the Application Profiler dialogue will close but the framework will remember all the specific settings that were selected prior to activation. Both these settings and the trace file itself will default to the application .EXE's current folder (unless a specific path has been supplied in the Trace File Name area - for example: c:\temp\orderentry.pbp). 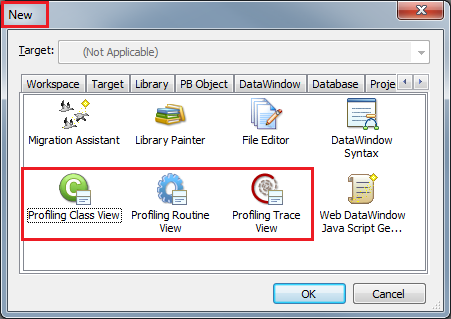 The profiling session and thus trace will be automatically finalized and closed when the business application is exited or the application user can finalize the Profile Trace at any time by again pressing ( CTRL+SHIFT+F2 ) or launching the Application Profiler from the DEBUG/SPY feature. 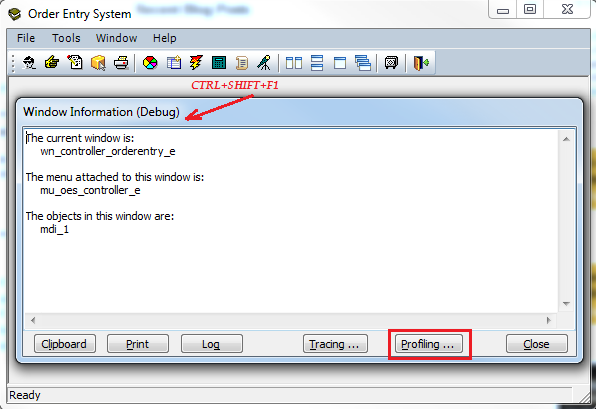 When presented to the application user with a trace in-progress, the dialogue will present the lower left-hand command button with the option "Profile OFF". 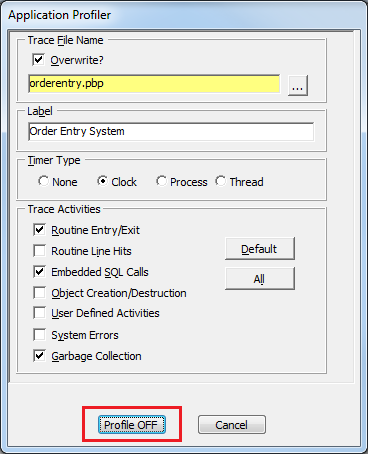 Pressing this command button will immediately finalize the Profiling session and make the .PBP (PowerBuilder Profile) file available for processing - however, the application user may continue to run the business application further and even start more dynamic application profiling session in another part of the application! Example of finalizing the Application Profile at any point in the application! 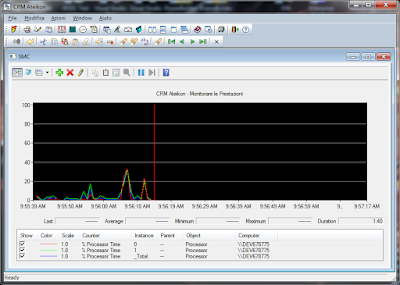 Example of selecting an Application Profiling viewer! Hopefully, this detailed performance trace information will allow the PB developer to pinpoint latent code and then optimize the application code for maximum performance and minimum user processing delay. The nice thing about building your PB Applications from the STD Integrated Framework is that the Application Profiling feature is always a keyboard stroke away - even in Production. Like the old American Express credit card commercials that said "don't leave home without it" ... the Application Profiling feature has a similar statement ... "don't deploy without it" and "look ma, no hands (ahhh ... coding )! 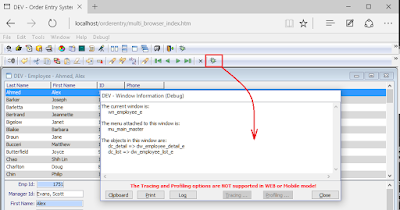 Web & Mobile Introspection - New Debug Feature! With the release of the new STD Integrated Framework for PowerBuilder and Appeon (version 2015.4.0.43 and higher), the framework was enhanced to expose the Debug/Spy feature that has been available to native PB applications for many releases. The framework's Debug/Spy feature is normally activated by the application user selecting the keyboard CTRL+SHIFT+F1 keys in succession. 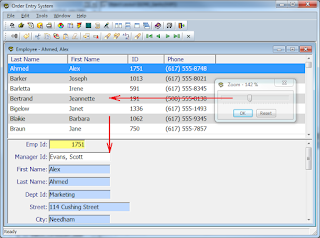 This key sequence informs the framework to display a dialogue that shows the application user the various PowerBuilder classes in vogue for the dialog in focus. In the Web Browser and especially in the Mobile world, the keyboard CTRL+SHIFT+F1 sequence is either not recognized or physically impossible on a virtual keyboard. 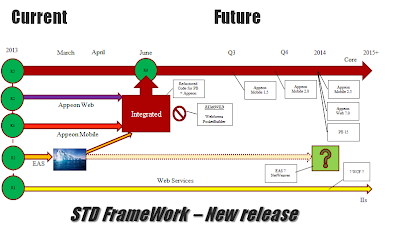 The latest STD Integrated Framework has been enhance to work around these limitations. This feature of course is most valuable to the Application Developer and Quality Assurance personnel to introspect the active classes with a business dialogue. This can be key pieces of information in isolating what components are active within a problem area of an application. However, given hard to pin-point issues in production - even the application business user can be instructed to use this feature to collect critical information about a problem area in the application. The Debug/Spy icon on the upper menu or its toolbar will direct the Debug/Spy to display the components involved around the Main or MDI "Controller" dialogue. The Debug/Spy icon on the lower menu or its toolbar will direct the Debug/Spy to display the components involved around the Main, Pop-up, Child or MDI_Child dialogue (depending on the application style being used) being displayed. 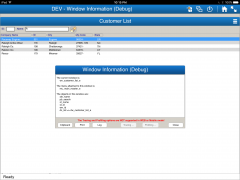 Once the Debug/Spy dialogue is activated, the application user can copy, print and/or email the component diagnostics to the appropriate support personnel for further analysis. 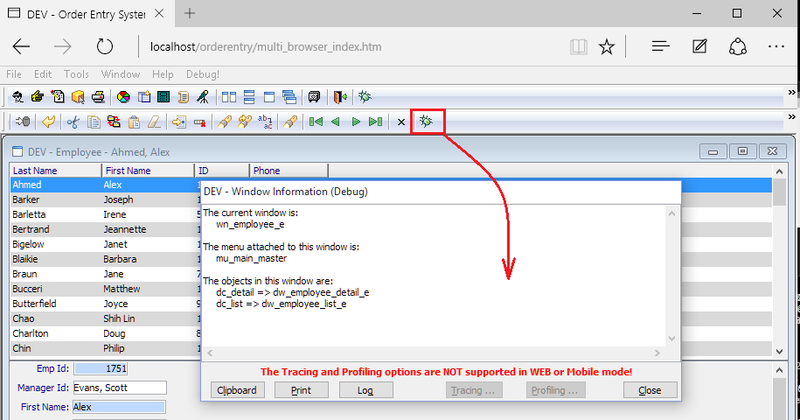 It should be noted though that the Tracing and Profiling (another new feature) are only available to native PowerBuilder applications and thus those options are disabled in the Web and Mobile environments. I hope that this new innovative framework feature is of significant help when trying to analyze problem areas of your PowerBuilder and/or Appeon applications. STD Foundation Classes - OrderEntry Application Updated! The example OrderEntry application that is built from the Software Tool & Die PowerBuilder & Appeon based frameworks has been updated to use the latest version of the Integrated framework (v2015.4.1.45) and the latest version of the Web Service framework (v2015.3.1.52). With the two frameworks enabled, the OrderEntry application demonstrates how PowerBuilder and Appeon developers can fully extend the functionality of their business applications to support native, cloud, web and mobile development & use from one code-line! To download the latest example, please visit the STD Foundation home web site located in the SourceForge online community. 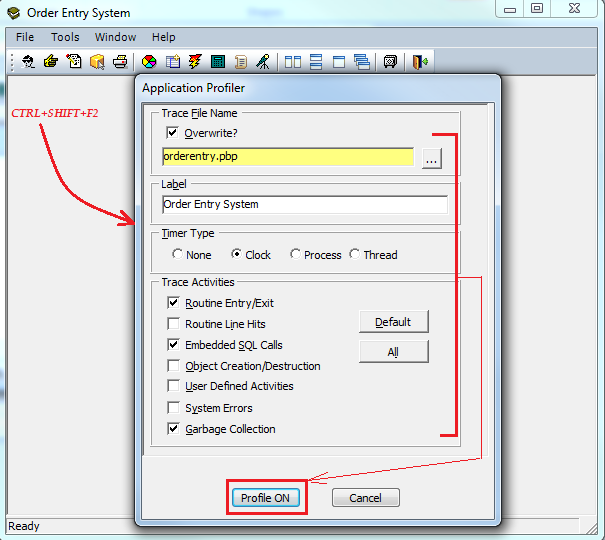 Then select the OrderEntry application 2015-R2 latest release from here! Note: Please read the "ReadMe.doc" file for specific deployment information.